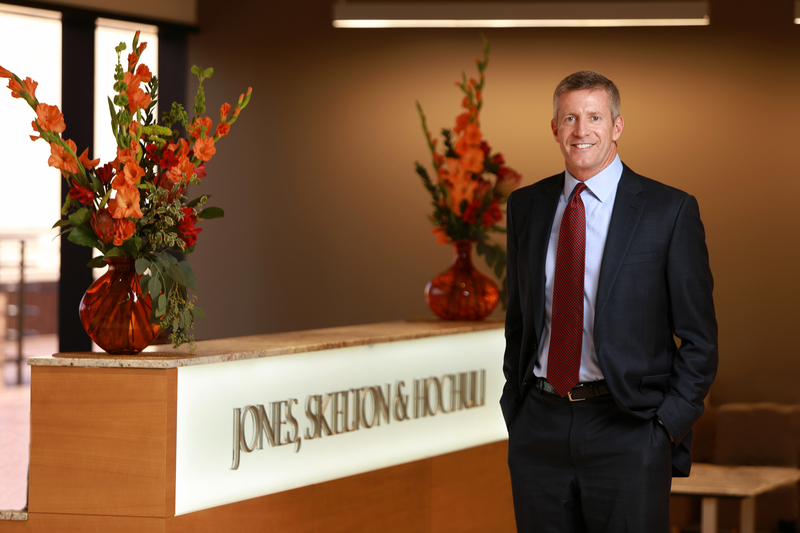 Stephen Bullington | Jones, Skelton & Hochuli, P.L.C. Steve Bullington dedicates his practice to representing medical service providers in matters involving allegations of medical malpractice and various other areas of health care law. Throughout his 29-year career, Steve has tried more than 20 cases before a jury and can provide a list of those cases upon request. Obtained unanimous defense verdict in $8 million wrongful death medical malpractice suit after 15-day jury trial. Steve Bullington and Cory Tyszka obtained a unanimous defense verdict in a wrongful death medical malpractice case. Their client, a cardiothoracic surgeon, was facing allegations of medical malpractice arising from an open-heart surgery of an 18-year-old woman following an unrestrained motor vehicle crash. During the 15-day jury trial, Plaintiff alleged that Defendant was negligent by failing to establish bypass before the start of surgery, failing to control the patient’s bleeding during surgery, and negligently placing the patient into deep hypothermic circulatory arrest. Plaintiff claimed that Defendant’s alleged negligence caused the patient to suffer permanent brain injury, which led to the withdrawal of life support and her subsequent death. Defendant maintained that he met the standard of care in all respects, and that the severe cardiac rupture suffered during the patient’s motor vehicle accident was not survivable. Plaintiff claimed $8,000,000 in pain and suffering and loss of consortium. The case was tried in Yuma County Superior Court before the Honorable Larry Kenworthy. After deliberating for approximately one hour, the jury returned a unanimous defense verdict on April 8, 2019. Obtained defense verdict in 7-day jury trial involving allegations of medical malpractice. Steve Bullington and Cory Tyszka defended an orthopedic surgeon against allegations of medical malpractice arising from a total hip arthroplasty procedure. During the 7-day jury trial, Plaintiffs alleged that Defendant was negligent by failing to repair an intraoperative femur fracture, failing to leave the prosthesis in proper anatomical alignment, and failing to recommend revision surgery, causing Plaintiff to suffer anatomical deformity, an inability to walk, and loss of employment. Defendant maintained that he met the standard of care in all respects, and that Plaintiff’s inability to walk was not caused by the surgery but was instead caused by pre-existing osteoarthritis, severe spinal stenosis, and Plaintiff’s failure to adequately engage in physical therapy. Plaintiffs claimed $429,000 in lost wages and at least $1 million in damages due to pain and suffering, loss of consortium, and loss of enjoyment of life. The case was tried in Maricopa County Superior Court before the Honorable Teresa Sanders. After deliberating for less than 45 minutes, the jury returned a defense verdict on December 5, 2018. Obtained unanimous defense verdict in 8-day jury trial medical malpractice case. Steve Bullington and Cory Tyszka represented a physician in this medical malpractice case arising from a penile prosthesis exchange procedure. Plaintiff alleged that Defendant was negligent in leaving a fragment of tubing from the removed prosthesis in the Plaintiff’s groin area, causing Plaintiff to suffer an infection, additional surgeries, and loss of employment. Defendant maintained that he met the standard of care in removing the prosthesis and that Plaintiff’s infection was not caused by the fragment. Plaintiffs claimed $900,000 in damages due to pain and suffering, loss of consortium, lost wages, loss of enjoyment of life, medical bills, and expenses. Obtained defense verdict on behalf of client, after jury deliberated for one hour. Steve Bullington obtained a defense verdict for his client, an internal medicine physician. Plaintiff alleged the Defendant fell below the standard of care for failing to timely diagnose Coumadin-induced skin necrosis in his deceased wife in September 2010. Plaintiff alleged the Coumadin-induced skin necrosis was the ultimate cause of decedent’s death approximately 10 months later, following multiple hospitalizations for various complications. Defendant denied liability, arguing that Coumadin-induced skin necrosis, particularly at the stage of treatment it developed in the decedent, is extremely rare and that decedent’s symptoms were consistent with a bug bite as she had reported. Plaintiff asked the jury to award loss of consortium damages for decedent’s husband and four children. The jury deliberated for approximately one hour and returned a defense verdict in favor of the Defense.